Trust the experienced heating, ventilation, and air conditioning (HVAC) specialists at the Energy Experts with all of your Garden Grove home heating, cooling, or indoor air quality needs. Energy Experts is a new designation of Alicia Air. Established in 1980, Alicia Air has served as Orange County's leading provider of exceptional quality, comprehensive Carrier sales, installation, maintenance, and repair services for decades. At Energy Experts (Alicia Air Conditioning), we are committed to providing excellent customer service, and our knowledgeable technicians have always worked closely with our valued residential clients to provide the most cost effective solutions possible to resolve their home heating, ventilation, and cooling needs. And now, as a Carrier Certified Energy Expert, we can provide even more specialized solutions for maximum home HVAC system efficiency, solutions which take into account factors such as a home's existing thermal envelope (comprised of a home's roof, exterior walls, windows, and doors), the energy efficiency of the home's existing HVAC system and its ductwork, and also any indoor air quality issues within the home. Call the home HVAC specialists at Energy Experts (Alicia Air Conditioning) today for any and all concerns you may have about the efficiency of your Garden Grove home's heating and cooling systems, or with any indoor air quality issues your household may be experiencing. We service all of Orange County, and are licensed, bonded, and insured. Poor Indoor Air Quality (IAQ) is a major concern of Orange County homeowners and their families. And at Energy Experts (Alicia Air Conditioning), our thorough, whole-house approach to home heating, ventilation, and air conditioning (HVAC) systems can have significant benefits for Garden Grove homeowners and their families beyond increased year round comfort levels both in winter and in summer, and also decreased energy bills: vastly improved indoor air quality. At the Energy Experts (Alicia Air Conditioning), we appreciate the fact that improperly sized home HVAC systems are a major cause of poor indoor air quality, because they can lead to higher than desirable levels of indoor humidity, and controlling indoor humidity is the key to controlling the growth of two major allergens: mold and dust mites. The American Lung Association, the American Medical Association, the Environmental Protection Agency, and the Centers For Disease Control recommend keeping the relative humidity level in your Garden Grove home between 30% and 50% year round. Higher levels encourage allergy causing dust mites, mold growth and musty odors, and high levels of indoor mold have been linked to serious health problems, including allergic reactions, toxic reactions, asthma episodes, infections, and respiratory damage. As a Certified Carrier Energy Expert, we can now perform a Carrier 360° Whole Home Energy Audit for Garden Grove homeowners, a comprehensive inspection of their homes which takes many crucial factors into account in order to provide them with personalized solutions to their household's heating and cooling needs as well as resolve any problems with indoor air quality that their home's occupants may be experiencing. The Department Of Energy has determined that the typical duct system loses an astounding 25% to 40% of the energy put out by the central furnace, heat pump or air conditioner during the distribution process. In addition to causing higher than necessary utility bills, this energy waste leads to discomfort, due to the fact that if the heated or cooled air traveling through the ducts is leaking out of the ducts before it can reach a home's living space, and is being squandered where it is not needed. 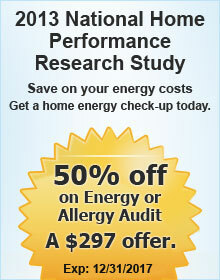 Trust the Energy Experts at Alicia Air for affordable, state of the art ductwork testing services in Garden Grove. At the Energy Experts (Alicia Air Conditioning), our thorough ductwork testing and evaluation procedure will identify any concerns with your ductwork system's condition or design that are interfering with optimal distribution efficiency. Then, we will recommend the most cost effective ductwork insulation, ductwork sealing, or ductwork replacement services to remediate these issues. Call us today from Garden Grove. Thermal Envelope - Consisting of your Garden Grove home's roof, exterior walls, floors, windows, and doors. Ductwork System - From which the leakage of conditioned air can cause a significant reduction in the overall efficiency of your Garden Grove home's HVAC system. Combustion Appliances - From which gas, oil, or propane leakage can occur, as well as the leakage of carbon monoxide. And then recommend cost-effective ways to remedy leakage issues within these systems, which include our expert insulation services. At the Energy Experts (Alicia Air Conditioning), the goal of our insulation services is to eliminate air leakage through a home's thermal envelope and ductwork system as much as possible, because this leakage contributes to heating and cooling system inefficiency, and is also often a source of troublesome indoor air quality problems. 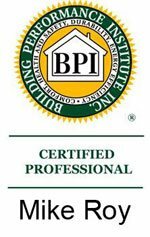 Insulation plays a vital role in home comfort, and in many Garden Grove homes, there is insufficient insulation, or the existing insulation is simply not doing its job. This Is a common problem in rooms adjacent to attic spaces, and also rooms built directly over garages. At the Energy Experts (Alicia Air Conditioning), as a part of our whole home audit, we will identify these underinsulated spaces within the home so that this condition can be corrected. Call the Energy Experts today, and see how our affordable insulation services can improve your Garden Grove home's HVAC system's efficiency at providing year round comfort for your family and guests. Choosing the right contractor to install your high efficiency home HVAC system is crucial. A good contractor will first perform a careful and thorough evaluation of your home, and will only then recommend an HVAC system for your home's heating and cooling needs. And If this procedure is not observed, it is possible for Garden Grove homeowners to never realize the potential energy savings and reduced utility bills that the decision to install a high efficiency heating or cooling system should entail. Make sure that your home heating, cooling, and ventilation system is installed correctly, rely upon the Energy Experts at Alicia Air Conditioning & Heating. Trust the Energy Experts at Alicia Air Conditioning & Heating for all or your Garden Grove residential heating, ventilation, and air conditioning (HVAC) needs. Call us today, for exceptional quality HVAC services at affordable prices, and experience the difference of our whole home approach to residential HVAC services. Join the thousands of satisfied Orange County homeowners who rely upon Alicia Air.